Last month on my birthday, my boyfriend’s mom sent me a handwritten Mary Oliver poem in the mail. The poem, called “Happiness,” is about a she-bear getting a little bit drunk on honey. It was a lovely gift in every way. I’m obsessed with how people share literature with one another, whether it’s through handwritten notes, or well-worn library books, or tweets. 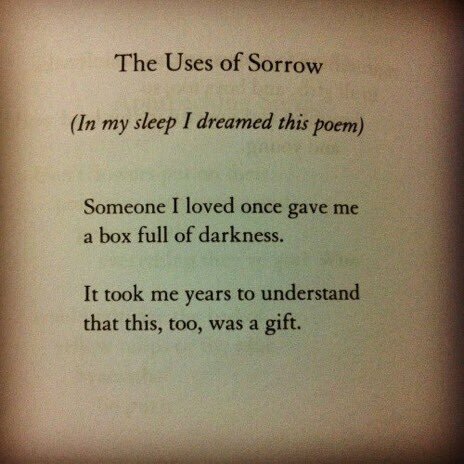 So when Mary Oliver died on Thursday, I was sad but also blown away by how many people were mourning her life by sharing her words on social media. When I checked Twitter, I found an outpouring of Oliver’s poetry. Friends, colleagues, celebrities, and strangers were tweeting favorite quotations, pictures of dog-eared pages, and videos of themselves reciting her words. This free-flowing, social circulation seemed like a fitting tribute to a poet whose work has for so long been dedicated to and beloved by a wide public. 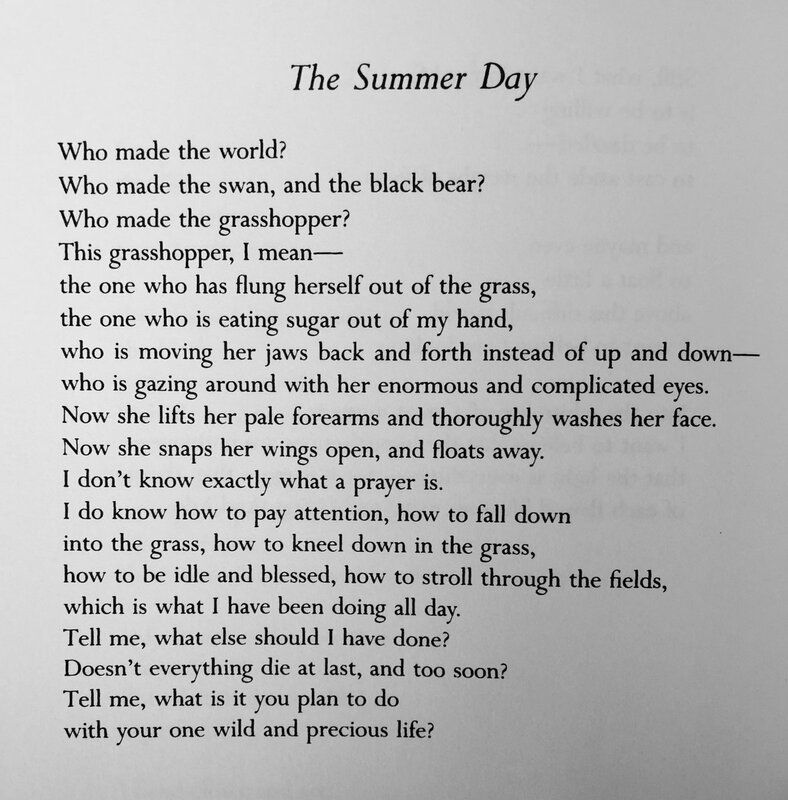 I’ve shared the tweet ids for this Mary Oliver archive on my GitHub page, so if you’d like to analyze the data yourself, you just have to “rehydrate” the ids. You can do so with twarc or with the desktop application, Hydrator (and the 💦💦💦 process is explained on both of those pages). I plan to keep the livestream capture going for the next couple weeks, and I will update the archive accordingly. The above chart does not represent all citations of Oliver’s words, just the specific phrases/poems that I searched for. Most other tweets in the corpus (95,598 tweets) were not included or identified here. I also searched for the most common recurring phrases, which again resurfaced quotations from “The Summer Day,” “Wild Geese,” and “The Uses of Sorrow.” But this search also turned up other widely-cited quotations, such as “To live in this world/you must be able/to do three things” from “In Blackwater Woods”. To look for Oliver’s poetry only within the text of tweets misses one of the major ways that her words were shared: images and videos. 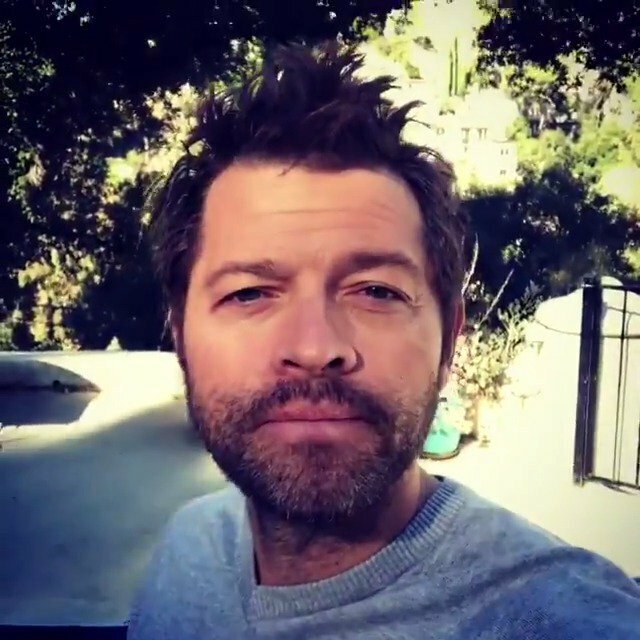 The following shows the top images from Mary Oliver tweets, all pictures of text except for one snap of the actor Misha Collins, who is an apparent Oliver disciple and otherwise most famous for his role on the television show Supernatural. 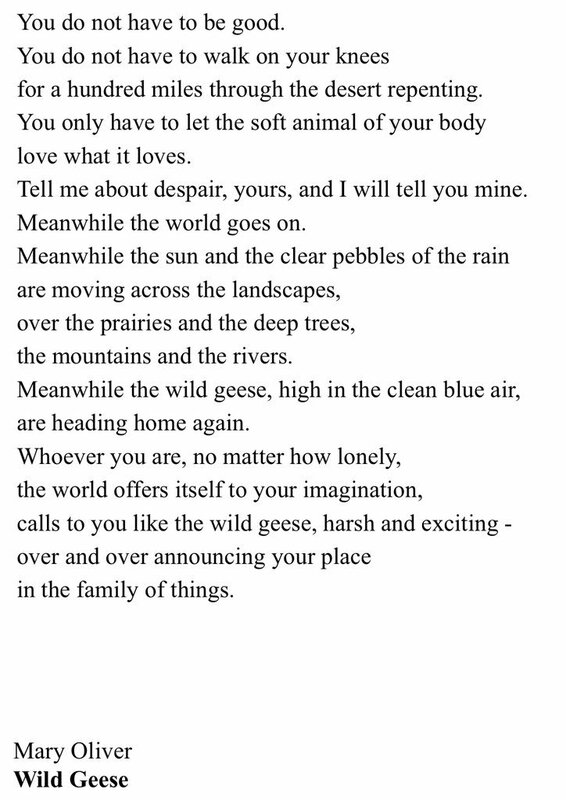 My love knows me and today is a sad day...saying goodbye to #maryoliver...rest in peace and thank you for your legacy. 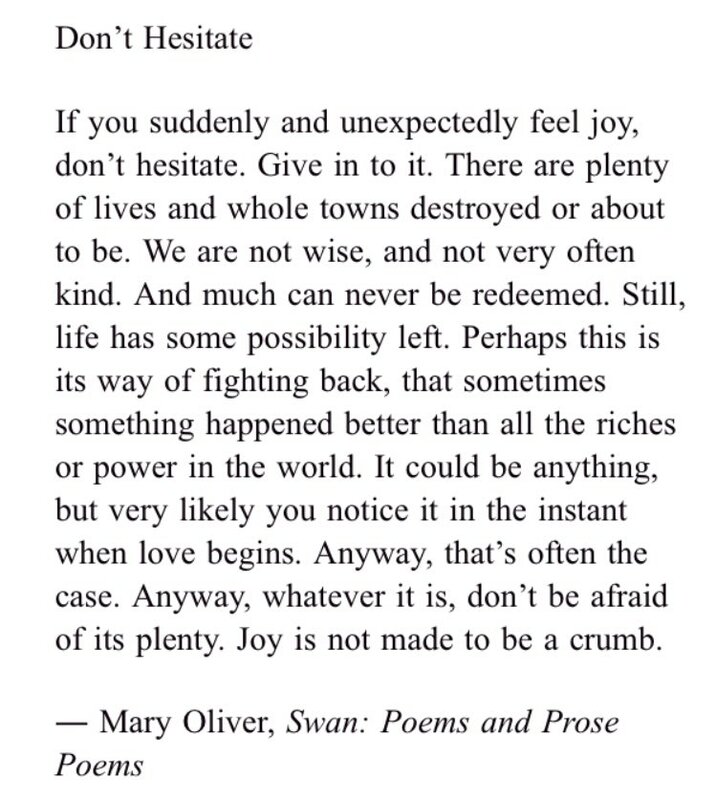 This post only scratches the surface of how folks mourned Mary Oliver on Twitter in the wake of her death. But it’s been my small way of fulfilling Oliver’s edict: to pay attention, to be astonished, to tell about it. I’m telling you that I’m astonished to see tens of thousands of Twitter users sharing poetry with each other in the span of two days. 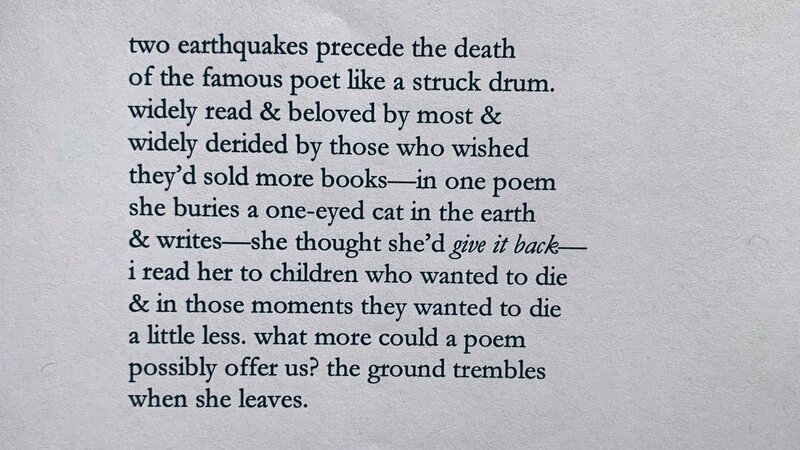 Here’s to sharing more poetry with one another—and, of course, to Mary Oliver. If you’re interested in exploring this archive for yourself, you can download the data by using the tweet ids on my GitHub page.